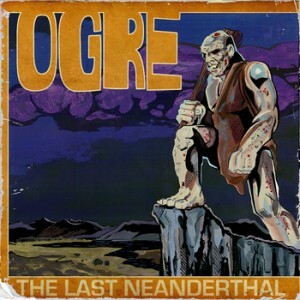 After a lengthy bout of planning, Ogre makes their vinyl debut twice! With the audio now remastered and the artwork revamped for the 12” format, their fourth album of instantly recognisable Doom infected ‘70s Hard Rock is now available in its analogue glory. If you happen to have been lapsing in and out of consciousness, the record was initially released on CD by Minotauro early in 2014 and has been largely met with unanimous approval since. My copy has been spinning continuously! Veering from the short, snappy and infectious, “Nine Princes in Amber” to the mammoth “Bad Trip” the flow is dynamic and the flavour varied. Limited to 500 copies on 180gsm vinyl with 12” insert in a 350gsm card sleeve, this is the boldest vinyl venture to date by Pariah Child with valuable assistance from my allies in the Yoshiwara Collective. Ogre is back!